Our beautiful hevea wood cheeseboard is a classy gift to give as an anniversary or wedding gift. Perfect for any couple who likes to entertain! 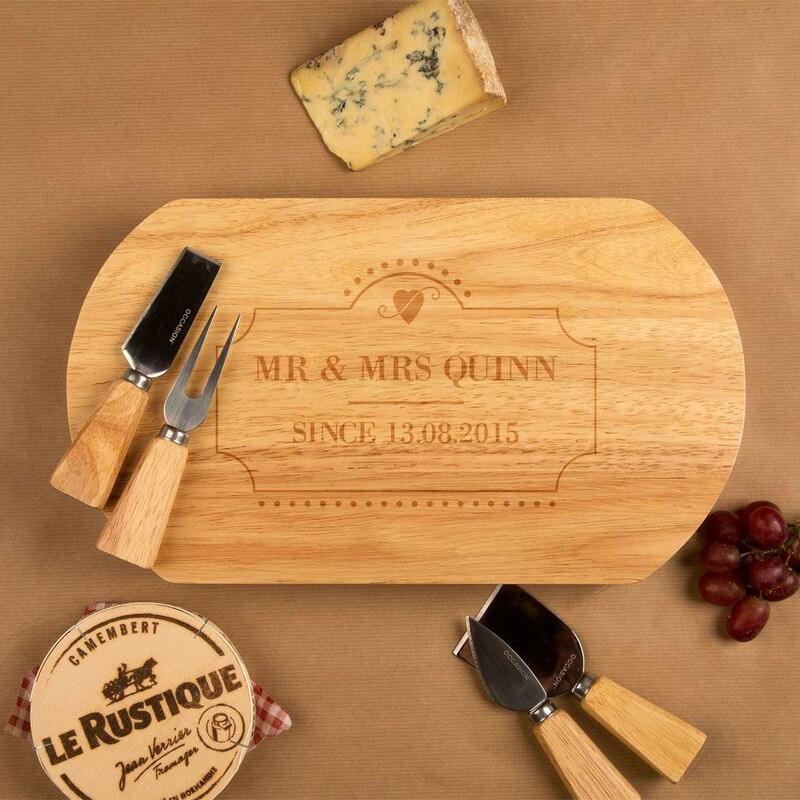 It is personalised and laser engraved in house with the happy couple's surname and special date. The sophisticated design features a border around the board, and a pretty heart motif. 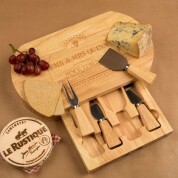 This wooden cheeseboard comes complete with a built in drawer and four cheese tools, to suit a large range of cheeses. The recipient's can enjoy this practical and decorative keepsake for years to come. 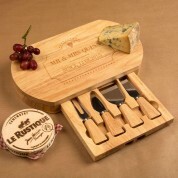 The cheeseboard is made from natural wood, and the grain may vary from the images shown.